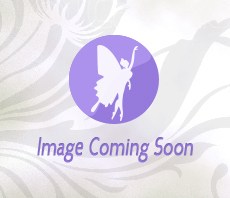 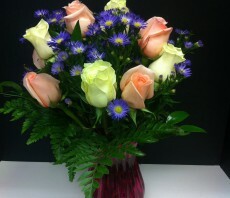 A dozen roses studded with lavender asters arranged in a raspberry coloured, ribbed, glass vase. 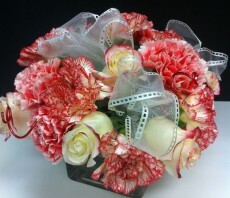 It has a beautiful selections of pale coral roses and cream roses. 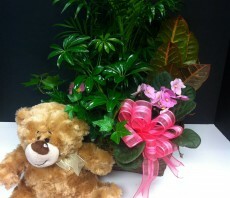 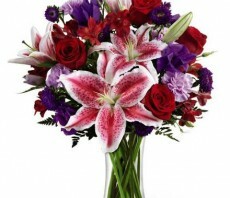 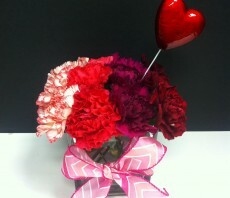 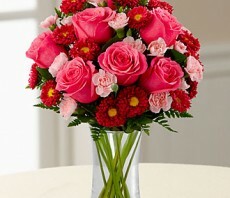 Do you have an anniversary, birthday or other special reason to send flowers, then this is the perfect choice for you.